Right-o, so the brand new Aussie movie ‘The Sapphires’ has just hit cinemas this week and with the allure of the film also comes the allure of the film’s soundtrack, five copies of which we gave away last week as part of our most recent competition. As you may be aware by now, it features a host of tracks performed by the film’s star Jessica Mauboy, including the so-far-criminally-overlooked highlight single ‘Gotcha’, as well as cover versions of soul classics like ‘I Heard It Through The Grapevine’ and ‘I Can’t Help Myself (Sugar Pie Honey Bunch)’. But there are also the originals from Sam & Dave (‘Soul Man’ and ‘Hold On, I’m Coming’, along with appearances by Juanita Tippens, Lou Bennett, Jade Macrae and even ‘The Voice’ runner-up Darren Percival. Francine from Tingalpa in Queensland, Cheryl from Croydon in Victoria, Julia from Milton in New South Wales, Joseph from Frankston in Victoria and Andrew from Greystanes in New South Wales. Congratulations ladies and gents! 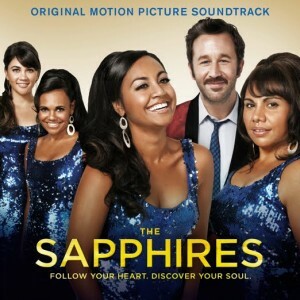 A copy of the ‘Sapphires’ soundtrack will be winding its way to you shortly. Thanks so much to everyone who entered. Now don’t forget… Another giveaway already live in the sidebar (Onelove’s FAB new compilation), along with double passes to Steresonic in each city!! Go! Go now!